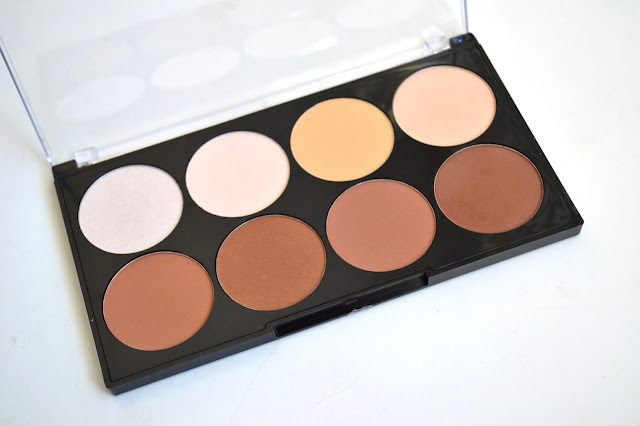 Today I have a look at this simple but essential highlight and contour kit from Jesse's Girl Cosmetics. It comes with 8 different powders: 4 for highlighting and 4 for contouring. If you are new to sculpting the face or want something that has different shade options, this is for you! The powders are pigmented and easy to build up on the skin. Find out more and see swatches below. Here are swatches of the highlight shades in this kit. I loved these and how they are not chalky at all. They are soft enough to blend while still giving a nice sheen to the skin. The first and the last shade I have been using the most to highlight. The second and third shades have a better use on my eyelids as eyeshadows. They are a little too light for me on the face but it's good that I can still get use out of them. 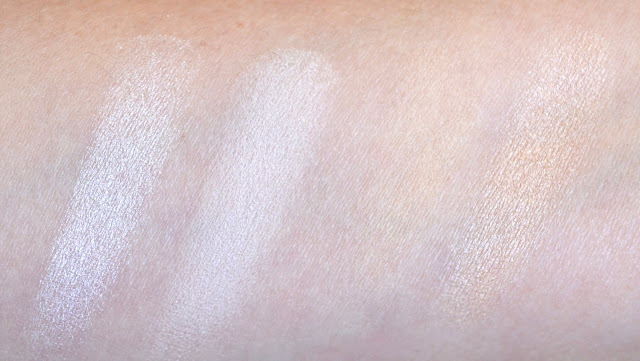 You can see with swatches of the contour shades, that they are pigmented and they last quite well all day. The powders are soft and it's great that you get different shades to choose from all in one palette. I'm not one to heavily contour my face, but I like how you can use these lightly or build them up depending on how much you want to sculpt the face. I use a contouring brush and I only need to pick up a small amount to contour my cheekbones. Overall, this palette is such an amazing deal and I love that you can get this at the drugstore. 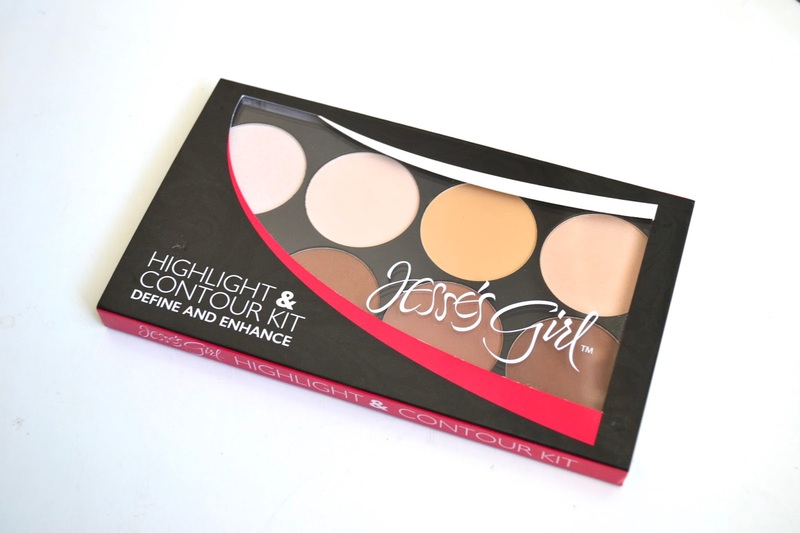 Jesse's Girl Highlight and Contour Kit retails for $12.99 and can be found at Rite-Aid and other retail stores. Also on the Jesse's Girl website. Let me know what you think of Jesse's Girl products! Product was sent for post consideration. All opinions are honest and my own.